Lucknow: The counting of votes for two Lok Sabha constituencies in Uttar Pradesh - Gorakhpur and Phulpur - have come to an end. Both Gorakhpur and Phulpur were won by Samajwadi Party in a staggering upset for the ruling BJP. Security had been heightened in both constituencies to ensure the counting of ballots happen smoothly. 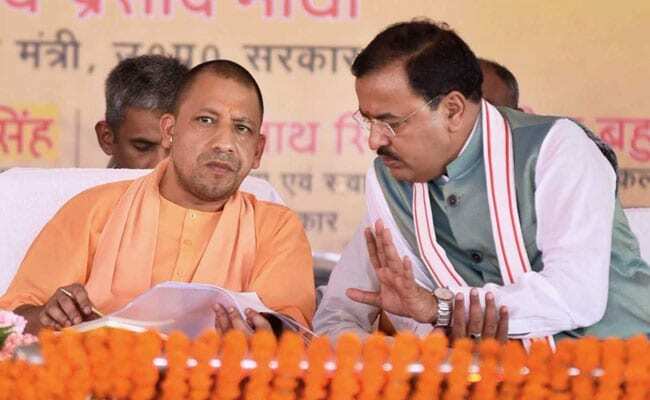 Gorakhpur was represented by Yogi Adityanath before he became the chief minister, while Phulpur was represented by Keshav Prasad Maurya, before he became the the deputy chief minister. Regional arch-rivals - Akhilesh Yadav's Samajwadi Party and Mayawati's Bahujan Samaj Party (BSP), which were steamrolled by the BJP in last year's assembly elections, had teamed up for the first time in nearly 25 years. Five-time lawmaker from Gorakhpur, Yogi Adityanath acknowledged his party's "overconfidence", saying they failed to understand the significance of the Samajwadi Party-BSP alliance for the by-elections. The bypolls were necessitated after Uttar Pradesh Chief Minister Yogi Adityanath and Deputy Chief Minister Keshav Prasad Maurya vacated the Gorakhpur and Phulpur Lok Sabha seats respectively following their election to the state legislative council. The voter turnout was 47.45 per cent in Gorakhpur and 37.39 per cent in Phulpur in Sunday's polling. 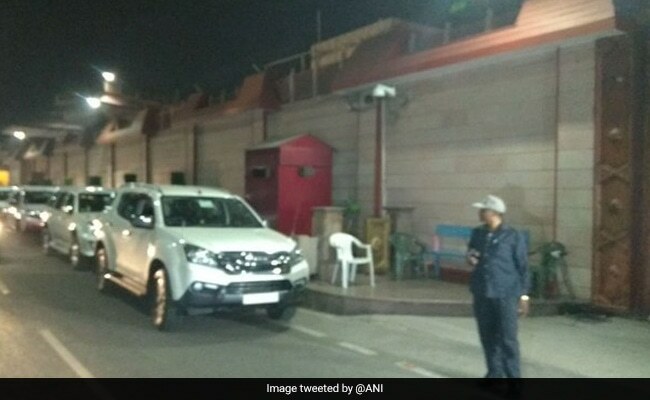 Samajwadi Party chief Akhilesh Yadav has come out of BSP chief Mayawati's home in Lucknow after a meeting that lasted over 40 minutes. The two former chief ministers had decided to form an alliance in the Uttar Pradesh bypolls. Both SP candidates in Gorakhpur and Phulpur won the Lok Sabha by-election. Samajwadi Party chief Akhilesh Yadav reaches BSP chief Mayawati's residence to meet her. The meeting is considered to be a very important one ahead of next year's general elections. 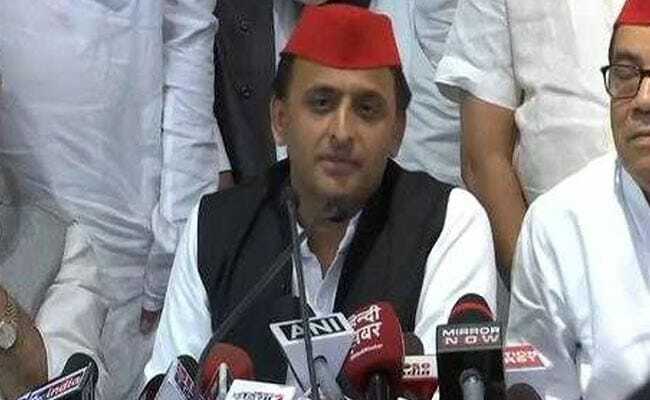 Uttar Pradesh chief minister Yogi Adityanath said on Wednesday evening that the BJP - which has lost key by-elections in Gorakhpur and Phulpur, two parliament seats it held - "failed to understand the significance" of a partnership scripted by the Samajwadi Party and Mayawati's Bahujan Samaj Party. It was "overconfidence," the chief minister said, also stating that his party will study why it lost and prepare a new strategy. 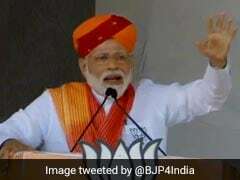 It is a massive setback for the BJP; the two seats it lost today were vacated by Yogi Adityanath and his deputy Keshav Prasad Maurya last year. In by-elections to Bihar's Araria parliament seat, the BJP is trailing Lalu Yadav's RJD, which held the seat." 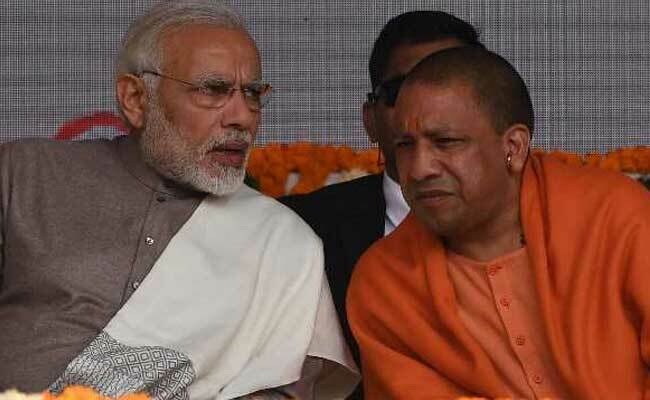 The BJP received a massive setback as votes were counted in crucial by-elections today, with the Samajwadi Party winning both Gorakhpur and Phulpur, parliament seats vacated last year by Chief Minister Yogi Adityanath and his deputy Keshav Prasad Maurya as they joined the state government after the BJP's landslide win in the assembly elections. For arch rivals, Samajwadi Party and Mayawati's Bahujan Samaj Party, a tentative political experiment has brought big returns." The UP bypoll results have delivered a body blow to Uttar Pradesh chief minister Yogi Adityanath, who took upon himself the task of asserting the party's hold in the state it swept in assembly elections last year, fronting the by-election campaign and seeking no reinforcements from the party leadership." 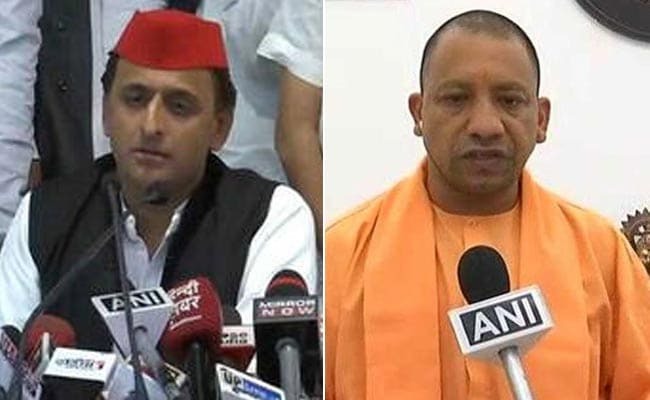 Uttar Pradesh Chief Minister Yogi Adityanath, whose hometown Gorakhpur went to the Samajwadi Party today in a staggering upset for the ruling BJP in bypolls, blamed "overconfidence" and conceded that his party underestimated the potency of an Akhilesh Yadav-Mayawati combo"
Samajwadi Party leader Akhilesh Yadav today said the BJP's defeat in the Gorakhpur and Phulpur Lok Sabha bypolls was the result of not keeping the promises the party had made to the people of Uttar Pradesh. I want to thank all journalists here. Through you, I thank the people of both the Lok Sabha constituencies. Poor, farmers, labourers, unemployed youth, women, I thank them all. First, I thank Mayawati ji too. We got her support, as well as that of the NCP, Peace Party, the Left. Many forces came together to support our win. Election results in UP always send out larger political messages. When this can happen in the seat of the Chief Minister and the deputy chief minister - there is so much public anger here, imagine the rest of the state. Farmers were promised loan waiver, young people were promised jobs, demonetisation and GST broke the back of business and trade. "On the floor of the house, he (Yogi Adityanath) said I am Hindu, I don't celebrate Eid. 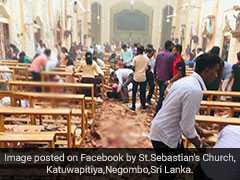 On the floor of the house, they said conduct encounters, have them killed. I thought I was backward. But the words they used, they called us an alliance of the rat and snake." This is a win for social justice too. "People have united against the BJP, responded to their misgovernance." People who work the hardest, you don't respect them? Treat them like insects? People were shown false dreams, they haven't fulfilled a single promise, this is the result of that. No party has gone back on their promises at such a scale like the BJP. People have taught them a lesson for that. "The government that hurts people, when the time comes, people teach them a lesson. It is a mandate on both the state and central government. Achhe din did not come but at least they managed to unite the people." "People were shown false dreams; they haven't fulfilled a single promise. This is the result of this. No party has gone back on their promises at such a scale like the BJP. People have taught them a lesson for that." "I have never said progress should take a backseat. We kept listing our achievements through the 2017 elections." "It is their own doing that they now have to see bure din (dad days)." "There was a huge number of complaints about EVMs (electronic voting machines) in Gorakhpur and Phulpur. If the vote was done through ballot paper, BJP would have lost by lakhs." I can only laugh at allegations of caste politics. When I was talking of work in 2017, they were assuring all castes separately that the next chief minister will be from their caste. "Election results in UP always send out larger political messages. When the seat is of the chief minister and the deputy chief minister, if there is so much public anger here, imagine the rest of the state." With a current total of 3,37,683 votes, Samajwadi Party's Nagendra Pratap Singh Patel is leading by 57,148 votes. BJP's Kaushlendra Singh Patel is second with 2,80,535 votes after 31 rounds of counting. Here are the latest numbers from Gorakhpur and Phulpur Lok Sabha constituencies. The Samajwadi Party has surged ahead of the BJP in both Gorakhpur and Phulpur Lok Sabha constituencies. Samajwadi Party's Praveen Kumar Nishad is leading with a current total of 3,34,463 votes, while BJP's Upendra Dutt Shukla is second with 3,08,593 votes after the 22nd round of counting. Samajwadi Party's lead over the BJP stands at 25,870 votes. Samajwadi Party's Nagendra Pratap Singh Patel is leading with a current total of 2,71,752 votes, while BJP's Kaushlendra Singh Patel is second with 2,33,254 votes after the 25th round of counting. Samajwadi Party's lead over the BJP stands at 38,498 votes. Regional heavyweights and arch-rivals Samajwadi Party and Mayawati's Bahujan Samaj Party have pooled resources to take on the BJP in Gorakhpur and Phulpur in what is seen as an experiment to test the ground for a larger alliance for the 2019 national election. In both seats, the Samajwadi Party fielded candidates, with the BSP offering support in a rare deal that includes the Samajwadi Party's support for the BSP in Rajya Sabha elections in UP later this month. "If we win, there will be a bigger alliance," promised Pravin Nishad, fielded by the Samajwadi Party in Gorakhpur. Mayawati, the Dalit powerhouse in the state, has not fielded a candidate. Her workers have asked the sizeable Dalit community to vote for the Samajwadi candidates, though she has not committed to a bigger partnership, waiting to see how the experiment works. The present arrangement, she has insisted, is an "agreement" not an "alliance." Leader of the opposition and Samajwadi Party member Ram Govind Choudhury meets Bahujan Samaj Party Chief Mayawati in Lucknow as Samajwadi Party looks set to win both Gorakhpur and Phulpur Lok Sabha seats with Mayawati's help. "Didn't expect that BSP's vote will be transferred to the Samajwadi Party in such a manner. We will analyze after seeing the final results and prepare for such a situation in future when BSP, SP and Congress can come together," says BJP's Keshav Prasad Maurya, who had vacated the Phulpur Lok Sabha seat when he became the Deputy chief minister of Uttar Pradesh. Samajwadi Party's Praveen Kumar Nishad is leading with a current total of 2,93,153 votes, while BJP's Upendra Dutt Shukla is second with 2,64,416 votes after the 19th round of counting. Samajwadi Parlty's lead over the BJP grows to nearly 29,000 votes. Samajwadi Party's Nagendra Pratap Singh Patel is leading with a current total of 2,18,963 votes, while BJP's Kaushlendra Singh Patel is second with 1,89,489 votes after the 20th round of counting. Samajwadi Parlty's lead over the BJP grows to nearly 30,000 votes. Candidates of the Samajwadi Party have surged ahead of their nearest BJP rivals in Gorakhpur and Phulpur Lok Sabha constituencies in Uttar Pradesh after several rounds of counting for the parliamentary by-elections. In the prestigious Gorakhpur Lok Sabha seat, the home turf of Chief Minister Yogi Adityanath, BJP's Upendra Dutt Shukla was trailing behind Praveen Nishad of the Samajwadi Party by a margin of nearly 20,000 votes at the end of the 14th round of counting. 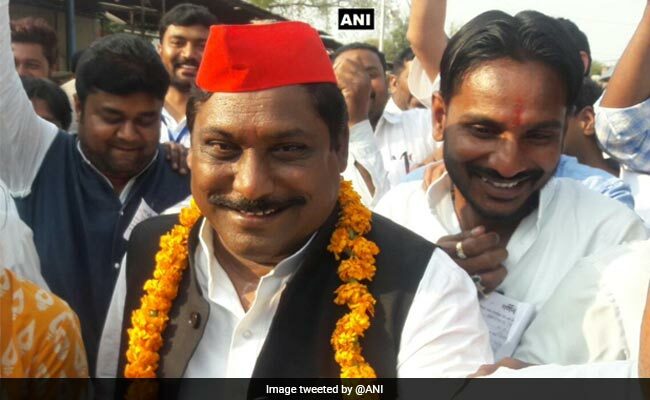 In Phulpur, the Samajwadi Party candidate Nagendra Pratap Singh Patel raced ahead of his nearest rival by nearly 23,000 votes after the 15th round of counting, officials said. 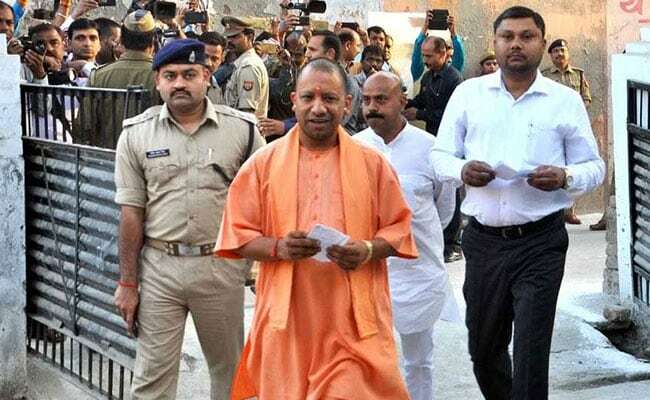 The Lok Sabha constituency of Gorakhpur was vacated by Chief Minister Yogi Adityanath, while the Phulpur constituency was vacated by his deputy Keshav Prasad Maurya in order to be elected in the state legislative council. Today's by-election is a prestige battle for the ruling party, which took on the combined might of regional heavyweights and arch-rivals Samajwadi Party and Mayawati's BSP in an experiment seen to test a bigger alliance for the 2019 national election. The BJP is now staring at a big setback if it loses both seats to the Samajwadi Party in the state. Here are the latest numbers from Gorakhpur and Phulpur Lok Sabha constituencies. The Samajwadi Party has extended its lead over the BJP in both Gorakhpur and Phulpur Lok Sabha constituencies. Samajwadi Party's Praveen Kumar Nishad is leading with a current total of 2,12,061 votes, while BJP's Upendra Dutt Shukla is second with 1,92,860 votes after the 14th round of counting. Samajwadi Parlty's lead over the BJP grows to nearly 20,000 votes. Samajwadi Party's Nagendra Pratap Singh Patel is leading with a current total of 1,67,008 votes, while BJP's Kaushlendra Singh Patel is second with 1,44,166 votes after the 15th round of counting. Samajwadi Parlty's lead over the BJP grows to nearly 23,000 votes. Watch Video: Samajwadi Party workers celebrate in Lucknow by raising slogans of 'Bhua-Bhateeja zindabad' as trends show their candidates leading by comfortable margins both in Gorakhpur and Phulpur Lok Sabha constituencies. Mayawati, the Dalit powerhouse in the Uttar Pradesh, has not fielded a candidate. Her workers have asked the sizeable Dalit community to vote for the Samajwadi candidates, though she has not committed to a bigger partnership, waiting to see how the experiment works. The present arrangement, she has insisted, is an "agreement" not an "alliance." Regional heavyweights and arch-rivals Samajwadi Party and Mayawati's Bahujan Samaj Party have pooled resources to take on the BJP in Gorakhpur and Phulpur in what is seen as an experiment to test the ground for a larger alliance for the 2019 national election. Samajwadi Party's Praveen Kumar Nishad is leading with a current total of 1,80,155 votes, while BJP's Upendra Dutt Shukla is second with 1,65,487 votes after the 12th round of counting. Samajwadi Parlty's lead over the BJP grows to nearly 15,000 votes. Samajwadi Party's Nagendra Pratap Singh Patel is leading with a current total of 1,55,314 votes, while BJP's Kaushlendra Singh Patel is second with 1,34,819 votes after the 14th round of counting. Samajwadi Parlty's lead over the BJP grows to nearly 20,500 votes. Lucknow Assembly has been adjourned till March 20, 2018. A ruckus had earlier taken place in the Assembly over the issue of media being kept out of counting centre in Gorakhpur, where elections have taken place to fill the Lok Sabha seat that is lying vacant since Yogi Adityanath vacated it after becoming chief minister of Uttar Pradesh. #Gorakhpur ByPoll: SP's Praveen Kumar Nishad leading with a margin of 10,598 with 1,19,427 votes, BJP's Upendra Dutt Shukla second with 1,08,829 votes after eighth round of counting. 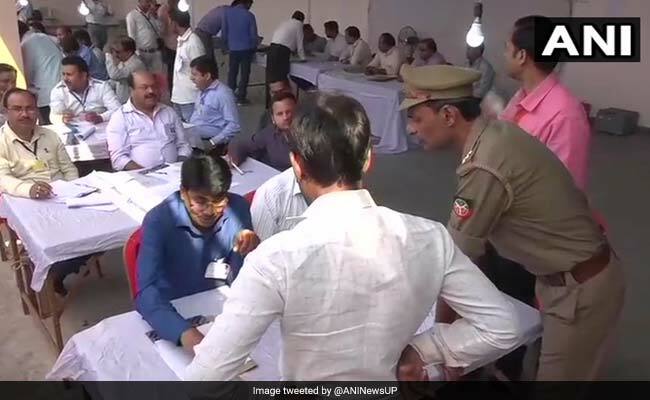 The Samajwadi Party has slipped into the lead as votes are counted in by-elections for Uttar Pradesh's Gorakhpur parliament seat, where a top official has barred the media from entering the counting centre in what is now a full-blown political controversy. The Samajwadi Party is also leading in Phulpur. The seats were vacated by Chief Minister Yogi Adityanath and his deputy Keshav Prasad Maurya of the BJP and today's by-election is a prestige battle for the ruling party, which took on the combined might of regional heavyweights Samajwadi Party and Mayawati's BSP. In UP capital Lucknow, the state assembly was adjourned for ten minutes as Samajwadi Party legislators protested against the ban on the media by Gorakhpur's District Magistrate Rajeev Rautela. Mr Rautela told news agency ANI, "Counting of votes is underway. When ARO sends counting figures of any round from the 5 assembly constituencies, it is scrutinised by the RO and 2 observers scrutinise the counting figures manually and digitally, and then sign it. This process takes time...Only then is the counting sheet of the entire Parliamentary constituency finalised and we announce it. We have announced the figures of the first round. Those of the 2nd and 3rd round are ready. 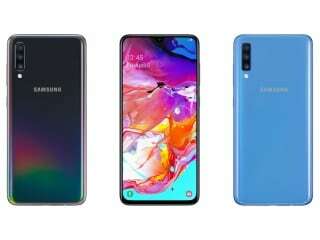 We will announce it soon." Chief Minister Yogi Adityanath held the Gorakhpur seat for five terms. He vacated it last year after becoming chief minister, following the BJP's sweep of the 2017 assembly elections, capturing 325 of the 403 assembly seat along with allies. Phulpur was vacated by his deputy Keshav Prasad Maurya. A year after the BJP's big win, the by-elections were seen as a test of Yogi Adityanath's popularity and the Chief Minister was the face of the BJP's campaign, addressing multiple public rallies. He had campaigned hard in both constituencies and described the by-elections as a dress rehearsal for the general election next year. "Our victory margins will be as big as in 2014," he had told NDTV. Regional heavyweights and arch-rivals Samajwadi Party and Mayawati's Bahujan Samaj Party have pooled resources to take on the BJP in Gorakhpur and Phulpur in what is seen as an experiment to test the ground for a larger alliance for the 2019 national election. In both seats, the Samajwadi Party fielded candidates, with the BSP offering support in a rare deal that includes the Samajwadi Party's support for the BSP in Rajya Sabha elections in UP later this month. "If we win, there will be a bigger alliance," promised Pravin Nishad, fielded by the Samajwadi Party in Gorakhpur, who is now ahead of his BJP rival. The Gorakhpur seat is important for the BJP largely because it is the home turf of Chief Minister Yogi Adityanath, a seat from where he has never lost an election since 1998 when he first contested the Lok Sabha elections. Mr Adityanath woon from Gorakhpur five consecutive times. Prior to Mr Adityanath, the seat was thrice represented in Parliament by his mentor, Yogi Avaidyanath. It is now a prestige battle for the BJP, and it is this prestige associated with the seat that would make a win for the Samajwadi Party-led opposition particularly sweet. With a current total of 1,22,247 votes, Samajwadi Party's Nagendra Pratap Singh Patel is leading by 15,713 votes. BJP's Kaushlendra Singh Patel is second - with 1,06,534 votes after eleven rounds of counting. UP By-Election Results 2018: What Happened In Gorakhpur. Details Of The Media Ban On Reporting Trends. Here are the latest updates about the media ban in Uttar Pradesh's Gorakhpur Lok Sabha constituency, where counting of votes are under way. 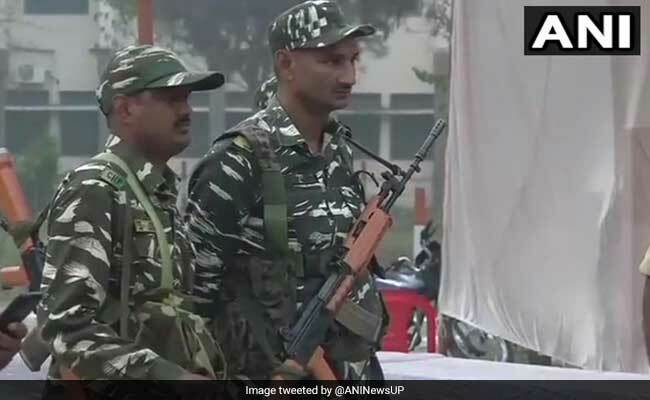 Around three hours into counting of votes cast in by-elections in Uttar Pradesh's Gorakhpur, the home base of Chief Minister Yogi Adityanath, the media was banned from reporting trends. 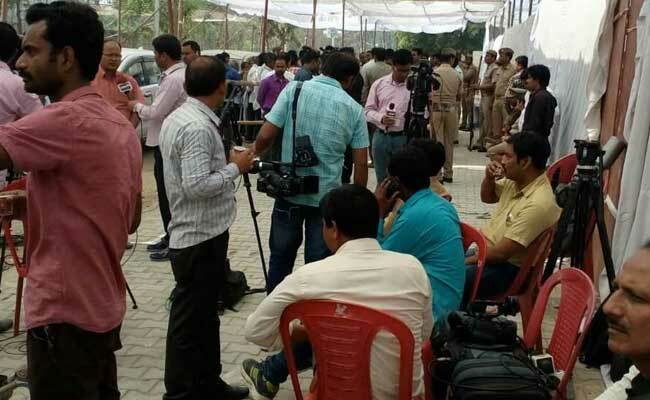 Reports indicated that a top official ordered the media out of the counting centre at a time the gap started narrowing between the candidates of the ruling BJP and its main challenger, the Samajwadi Party. 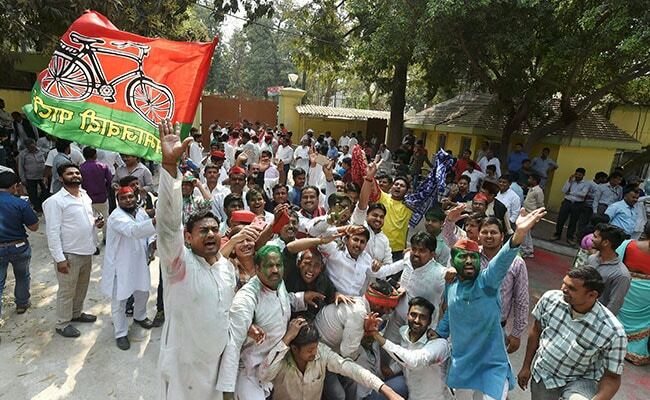 Around noon, Samajwadi candidate Praveen Kumar Nishad was leading by over 1,500 votes over BJP's Upendra Dutt Shukla. District Magistrate Rajeev Rautela reportedly walked into the counting centre and stopped personnel from giving updates to the media. He also banned reporters from entering the counting area, which is unprecedented. Denying that his move was linked to the worrying trends for the ruling party, Mr Rautela said: "The counting of votes is underway. When the assistant Returning Officer sends counting figures of any round from the five assembly constituencies, it is scrutinised by the Returning Officer and two observers scrutinise the counting figures manually and digitally and then sign it. This process takes time." Bypolls were held in Gorakhpur after five-time parliamentarian Yogi Adityanath vacated the seat after becoming Chief Minister last year. The Samajwadi Party is also leading in the bypolls in Phulpur, which was vacated by his deputy Keshav Prasad Maurya. In both seats, the Samajwadi Party and Mayawati's BSP - regional heavyweights and bitter rivals - pooled resources in a rare deal that includes the Samajwadi's support for the BSP in Rajya Sabha elections in UP later this month. Yogi Adityanath campaigned hard in both constituencies and described the by-elections as a dress rehearsal for the general election next year. While the official result for Gorakhpur has only been declared till round 1 of counting of votes, which states that the BJP is leading, latest leads from news agency ANI show that the Samajwadi Party is currently ahead of the BJP. Leads are not the final result but only trends as votes are counted. Results are declared - round-wise - by the election commission, and only those can be considered 'official'. It is unusual that after 4 hours of counting, only the result for round 1 has been declared. The process is generally much faster. The media was abruptly banned a short while ago from reporting any trends from Gorakhpur Lok Sabha constituency. This led to an uproar in the Uttar Pradesh Assembly leading to an adjournment of the Assembly for half an hour. News agency ANI reported shortly after that the Samajwadi Party has taken a lead over the BJP in Gorakhpur, which is Yogi Adityanath's stronghold. NDTV has pointed out that only 'round-wise' results that are declared by the Election Commission can be considered official. Leads on the other hand, just suggests a trend. Lucknow Assembly has been adjourned till 12:20 pm following ruckus over the issue of media being kept out of the counting centre in Gorakhpur. 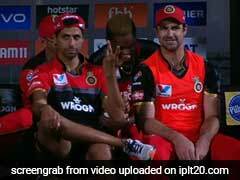 The issue was raised by Samajwadi Party's Ram Govind Chaudhary. The media was suddenly banned from the counting centre in Gorakhpur, and was stopped from reporting trends. Latest figures from news agency ANI suggest that the Samajwadi Party has taken lead over the BJP is Yogi Adityanath's stronghold Gorakhpur. 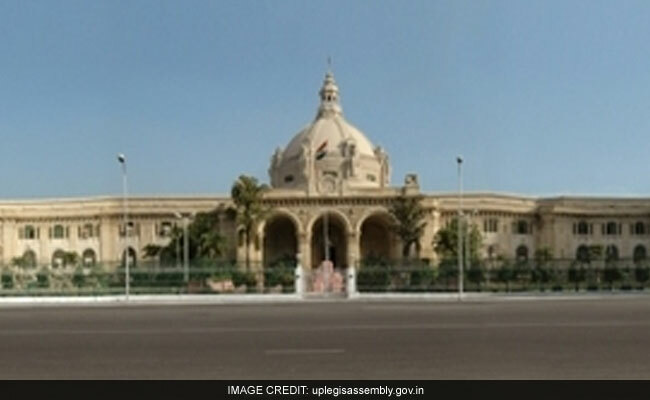 Lucknow Assembly adjourned till 12.20 pm following ruckus over the issue of media being kept out of counting centre in Gorakhpur, the issue was raised by SP's Ram Govind Chaudhary. With a current total of 99,557 votes, the Samajwadi Party's Nagendra Pratap Singh Patel is leading by 12,231 votes. BJP's Kaushlendra Singh Patel is second with a current total of 87,326 votes after eight round of counting. With a current total of 44,979 votes, Samajwadi Party's Praveen Kumar Nishad is leading by 1,523 votes, while BJP's Upendra Dutt Shukla is second with a current total of 43,456 votes. As votes are counted for the by-elections in Uttar Pradesh's Gorakhpur, the home base of Chief Minister Yogi Adityanath, the media has been banned from reporting trends. Reporters have also been kept out of the counting area by the District Magistrate. Bypolls were held in Gorakhpur after five-time parliamentarian Yogi Adityanath vacated the seat after becoming Chief Minister last year. Here are the latest numbers from Gorakhpur and Phulpur Lok Sabha constituencies. While BJP is narrowly ahead in Gorakhpur, the Samajwadi Party, which was marginally ahead a short while ago, has built on its lead. BJP's Upendra Dutt Shukla is leading with a current total of 15,577 votes, while Samajwadi Party's Praveen Kumar Nishad is second with a current total of 13,911 votes. With a current total of 54,562 votes, the Samajwadi Party's Nagendra Pratap Singh Patel is leading with 6,931 votes. BJP's Kaushlendra Singh Patel is second with a current total of 47,631 votes. A the contest between BJP and Samajwadi Party comes neck-to-neck in the Uttar Pradesh by-elections, here is all you need to know about the Gorakhpur and Phulpur Lok Sabha constituencies. How many polling centres and polling booths were there in Gorakhpur on voting day? Gorakhpur had 970 polling centres and 2,141 polling booths. Steps were taken by the Election Commission for LIVE webcasting from 95 critical booths from both Gorakhpur and Phulpur constituencies. How many voters are there in total in Gorakhpur? How many Voter Verifiable Paper Audit Trail (VVPAT) machines were used in the Gorakhpur and Phulpur by-elections? 4,728 VVPAT machines were used on voting day in Gorakhpur and Phulpur. These machines are used to verify that the vote polled by the voter has gone to the voter's desired candidate. Why were elections held now for the Gorakhpur and Phulpur Lok Sabha seats? BJP's Yogi Adityanath had to vacate the Gorakhpur seat when the party won the Uttar Pradesh assembly election in 2017 by a landslide after which he became the chief minister of UP. To become the Chief Minister, Mr Adityanath had to give up his parliamentary seat in order to be elected in the state legislative council. Same is the case for Phulpur, which was previously held by current deputy chief minister Keshav Prasad Maurya. What is the history and significance of the Phulpur Lok Sabha constituency? Phulpur was once represented by the country's first prime minister Jawaharlal Nehru. It was a Congress stronghold for many years after independence. The key constituency witnessed a huge surge in favour of the BJP in the 2014 Lok Sabha election when Keshav Prasad Maurya, the current deputy chief minister of UP, won the seat. How many candidates contested the Gorakhpur by-election? A total of 10 candidates contested the Gorakhpur by-election. Upendra Dutt Shukla is contesting the Gorakhpur by-election from the BJP. He was instrumental in the party winning huge victories in Uttar Pradesh's Purvanchal region in last year's assembly elections. The Congress fielded Suhita Chatterjee Kareem as its candidate, while the Samajwadi Party contested the Gorakhpur election with a new partnership with the BSP. Samajwadi Party also allied with the Peace Party and Nishad Party, and fielded Praveen Kumar Nishad as its candidate. The BJP is leading in by-elections for Uttar Pradesh's Gorakhpur parliament seat, but in Phulpur the Samajwadi Party has shot ahead. Both seats were held by the BJP and today's by-election is a prestige battle for the ruling party, which took on a united opposition. With 22,460 votes, Samajwadi Party's Nagendra Pratap Singh Patel has a narrow lead of 1,058 votes over BJP's Kaushlendra Singh Patel who currently has 21,402 votes. 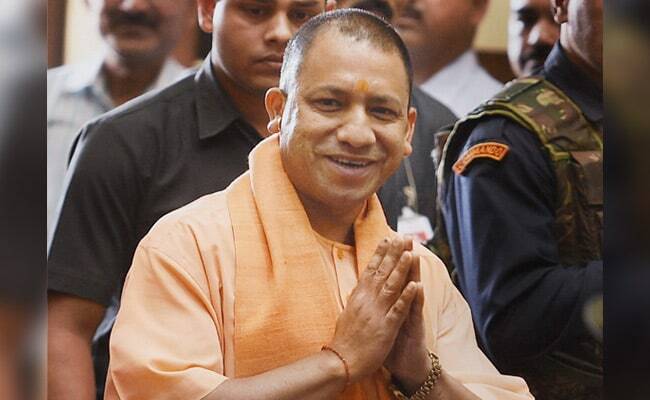 UP's Gorakhpur is the seat that Chief Minister Yogi Adityanath held for five terms. He vacated it last year after becoming chief minister, following the BJP's sweep of the 2017 assembly elections, capturing 325 of the 403 assembly seat along with allies. Phulpur was vacated by his deputy Keshav Prasad Maurya. Regional heavyweights and arch rivals Samajwadi Party and Mayawati's Bahujan Samaj Party have pooled resources to take on the BJP in Gorakhpur and Phulpur in what is seen as an experiment to test the ground for a larger alliance in the 2019 national election. Yogi Adityanath campaigned hard in both constituencies and described the by-elections as a dress rehearsal for the general election next year. 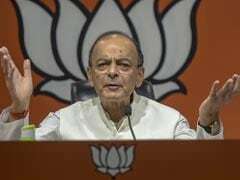 "Our victory margins will be as big as in 2014," he told NDTV. There was 47.45 per cent polling in Gorakhpur last week, and 38 per cent in Phulpur. In both seats, the Samajwadi Party is the BJP's main challenger, with the BSP offering support in a rare deal that includes the Samajwadi Party's support for the BSP in Rajya Sabha elections in UP later this month. "If we win, there will be a bigger alliance," promised Pravin Nishad, fielded by the Samajwadi Party in Gorakhpur. Mayawati, seen as the Dalit powerhouse in Uttar Pradesh, has not fielded a candidate in Gorakhpur and Phulpur. Her workers have asked the sizeable Dalit community to vote for the Samajwadi candidates, though she has not committed to a bigger partnership, waiting to see how the experiment works. The present arrangement, she has insisted, is an "agreement" not an "alliance." Both the Samajwadi Party and the BSP attended a dinner party hosted by the Congress' Sonia Gandhi in Delhi last night, seen as an attempt to consolidate opposition unity ahead of the 2019 national election. In the UP by-elections however, the Congress has fielded its own candidates, making it a three-way contest between the BJP, the Samajwadi Party and the Congress. UP By-Election Results 2018: Samajwadi Party Candidate Says "Confident Of Win"
Samajwadi Party has taken a lead in Uttar Pradesh's Phulpur constituency. Phulpur was previously represented by BJP's Keshav Prasad Maurya, who is now the deputy chief minister of the state. With a current total of 7,600 votes, Samajwadi Party's Nagendra Pratap Singh Patel is leading by 1,437 votes. BJP's Kaushlendra Singh Patel is currently at 6163 votes after round 3. Gorakhpur District Magistrate Rajiv Routela has said that as per instructions from the election commission, there will be restriction on victory processions after the results are declared this afternoon. Gorakhpur is significant for the BJP as it is the bastion of chief minister Yogi Adityanath, who represented the seat in the Lok Sabha five times. Prior to Mr Adityanath, the seat was thrice represented in Parliament by his mentor, Yogi Avaidyanath. Phulpur on the other hand, was once represented by the country's first prime minister Jawaharlal Nehru. 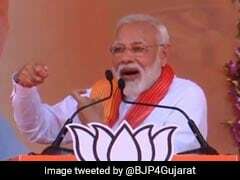 It witnessed a surge in favour of the BJP in the 2014 Lok Sabha election when Keshav Prasad Maurya, the current deputy chief minister of UP, won the seat. The BJP had fielded Kaushalendra Singh Patel from Phulpur and Upendra Dutt Shukla from Gorakhpur. 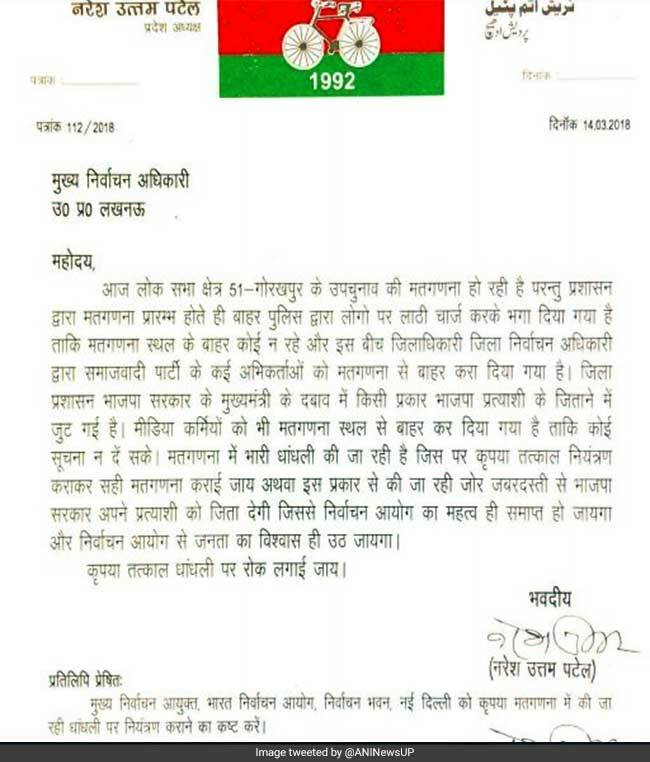 The Samajwadi Party had fielded Pravin Nishad from Gorakhpur and Nagendra Pratap Singh Patel from Phulpur. The Congress had nominated Sureetha Kareem for Gorakhpur and Manish Mishra for Phulpur. After casting his vote in Gorakhpur, Yogi Adityanath had claimed that the BJP was getting a widespread support from the people, while Keshav Prasad Maurya had said his party would win both the seats. Yogi Adityanath had also called the BSP-Samajwadi Party partnership for the bypolls an "unholy alliance". "The voters will reject this opportunistic, unethical and unholy alliance," he had said. On the other hand, Samajwadi Party chief Akhilesh Yadav had said it (polling day) was a day to "change and re-write history". 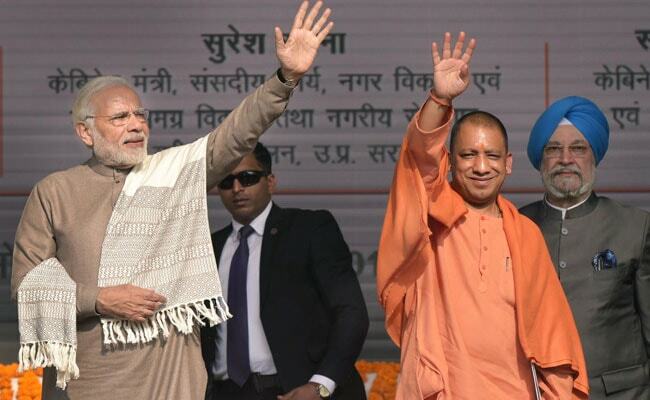 Termed by Mr Adityanath a "rehearsal" for the 2019 Lok Sabha election, the bypolls saw a triangular contest involving the ruling BJP, the Samajwadi Party (in alliance with BSP) and the Congress. Early trends show the BJP leading in both Gorakhpur and Phulpur Lok Sabha constituencies. The voter turnout was 47.45 per cent in Gorakhpur and 37.39 per cent in Phulpur in Sunday's polling. Ten nominees were in the fray from Gorakhpur, while 22 candidates contested from Phulpur. According to the Election Commission, there are 19.61 lakh voters in the Phulpur Parliamentary constituency, while the Gorakhpur Lok Sabha seat has 19.49 lakh voters. Over the years, NDTV has become the most trusted news channel and website, and has become synonymous with elections. Follow #ResultsWithNDTV on Twitter and our website NDTV.com for the most comprehensive coverage of today's election results. Besides Uttar Pradesh, by-election results will also be declared for one Lok Sabha constituency and two assembly constituencies in Bihar. For LIVE updates of the Bihar by-election results, please click here. #ResultsWithNDTV | By-election results for two Lok Sabha constituencies in UP, one in Bihar and two assembly seats in Bihar will be declared today. Security across the Gorakhpur and Phulpur constituencies in Uttar Pradesh have been tightened as counting of votes is under way. An Election Commission official said all arrangements had been made to ensure that counting of ballots could be carried out smoothly. The results, he said, are expected to be declared by the afternoon. Regional arch-rivals - Akhilesh Yadav's Samajwadi Party and Mayawati's Bahujan Samaj Party (BSP), which were steamrolled by the BJP in last year's assembly elections, have teamed up for the first time in nearly 25 years to take on the BJP. The BJP is still confident of a win in both constituencies. 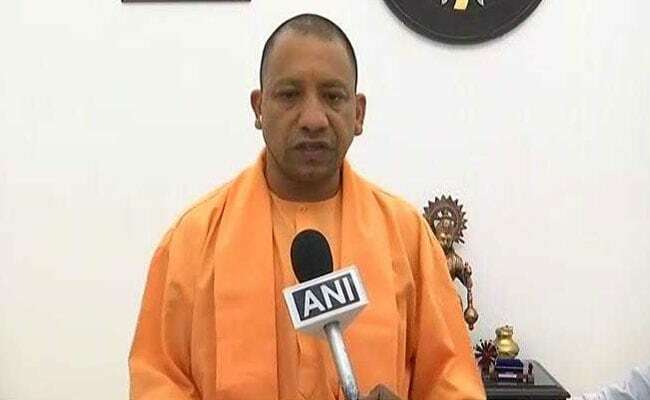 Five-time lawmaker from Gorakhpur, Yogi Adityanath had described the by-elections a dress rehearsal for the general election next year. Counting of votes has begun for the Gorakhpur and Phulpur Lok Sabha by-elections. Security has been heightened in both constituencies. 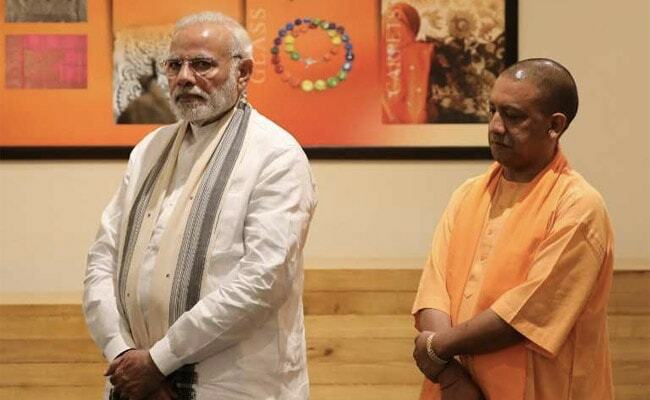 Gorakhpur was represented by Yogi Adityanath before he became the chief minister, while Phulpur was represented by Keshav Prasad Maurya, before he became the the deputy chief minister. The bypolls were necessitated after Uttar Pradesh Chief Minister Yogi Adityanath and Deputy Chief Minister Keshav Prasad Maurya vacated the Gorakhpur and Phulpur Lok Sabha seats respectively following their election to the state legislative council. The by-election results for two Lok Sabha constituencies in Uttar Pradesh - Gorakhpur and Phulpur - will be declared today.